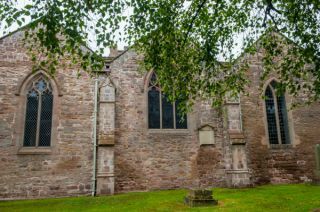 The first church at Bromyard was established sometime around AD 840 as a Saxon minster. Nothing remains of that Saxon building, which was replaced in the 12th century with the current cruciform building. 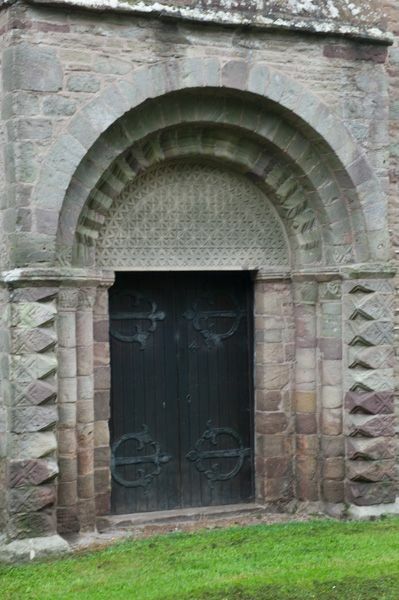 The south door is worth noting for its carved figure of St Peter. 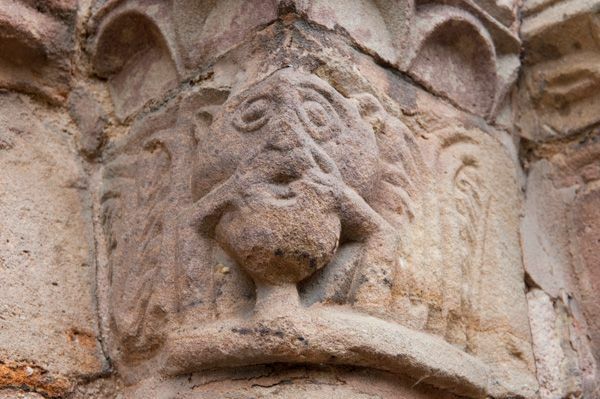 Recent investigation suggests that the figure may be of Saxon origin, and was reused when the 12th century was built. The nave, chancel, and transepts were built in 1175, and vestiges of the Norman work remains in the base of the central tower, the transept walls, and the west wall. A north aisle was added around 1200, and a century later the chancel was enlarged. 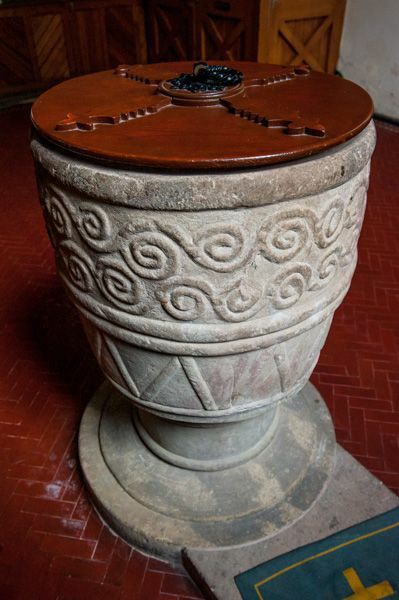 The altar table dates to the 16th century, but it is not original; it was brought here from Hereford Cathedral. 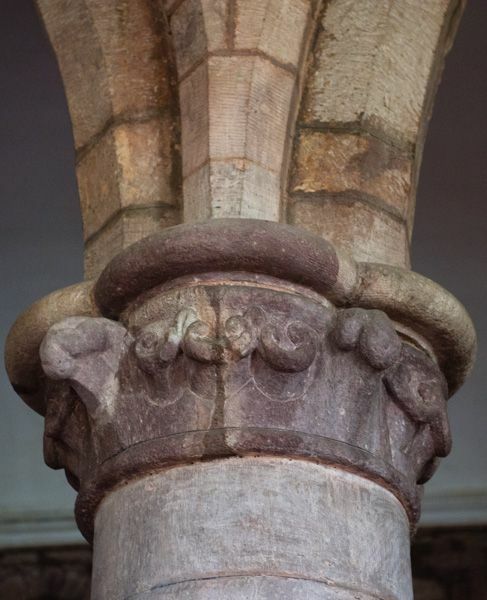 At the west end stands the font, which dates to at least the Norman rebuilding of the Saxon church. 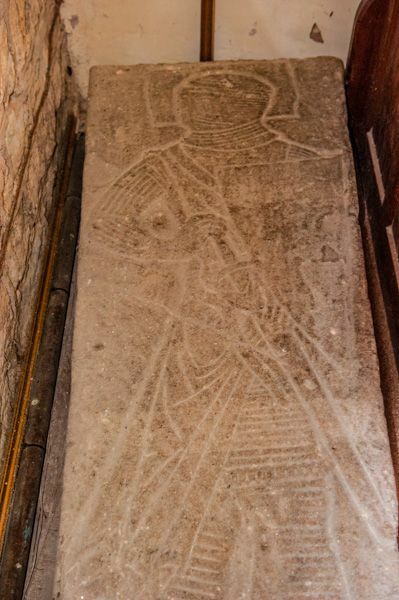 There are a surprising number of 14th-century tomb recesses, though none of the effigies remains. Within the church is the official Bromyard 'Bushel Measure' of 1670, made as a standard for local merchants to measure their goods against. The exterior is perhaps most notable for the unusual stair turret, which climbs up one angle of the central tower, and actually rises above the tower parapets. I found St Peter's church a delight to visit, even on a drizzly summer's day. 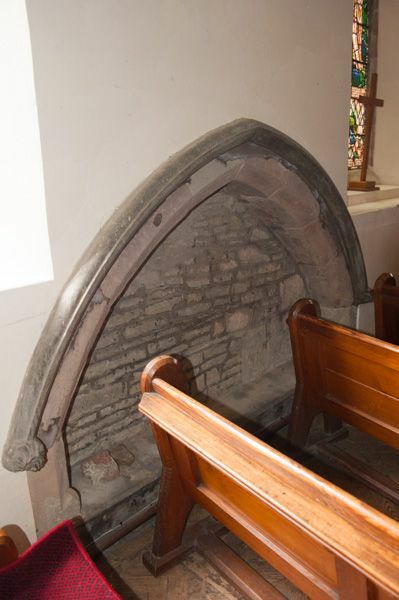 The interior is full of interesting surprises, including all those empty tomb niches. It took me quite some time to find the incised grave slab of the night, but eventually, I discovered it tucked away behind pews at the extreme north-west corner of the church.